Washington, DC – April 28, 2011 – (RealEstateRama) — March saw another increase in pending home sales, with contract activity rising unevenly in six of the past nine months, according to the National Association of Realtors®. The Pending Home Sales Index,* a forward-looking indicator based on contract signings, rose 5.1 percent to 94.1 in March from a downwardly revised 89.5 in February. The index is 11.4 percent below 106.2 in March 2010; however, activity was at elevated levels in March and April of 2010 to meet the contract deadline for the home buyer tax credit. The data reflects contracts but not closings, which normally occur with a lag time of one or two months. The PHSI in the Northeast fell 3.2 percent to 63.4 in March and is 18.4 percent below March 2010. In the Midwest the index rose 3.0 percent in March to 83.5 but is 16.6 percent below a year ago. Pending home sales in the South jumped 10.3 percent to an index of 110.2 but are 10.5 percent below March 2010. In the West the index increased 3.1 percent to 103.7 but is 4.1 percent below a year ago. “Based on the current uptrend with very favorable affordability conditions, rising apartment rents and ongoing job creation, existing-home sales should rise around 5 to 10 percent this year with sales growth of lower priced homes likely to outperform high-end homes. 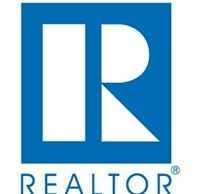 That means the price trend will reflect more homes sold in the lower price ranges,” Yun said. “The good news is that recent home buyers are staying well within budget, leading to exceptionally low loan default rates among home buyers over the past two years,” Yun added. NOTE: First quarter metro area home prices and state existing-home sales will be published May 10. Existing-home sales for April will be reported May 19 and the next Pending Home Sales Index will be released May 27; all release times are 10:00 a.m. EDT.